Provide comfort for the family of William Kennedy with a meaningful gesture of sympathy. MASSACHUSETTS - William B. 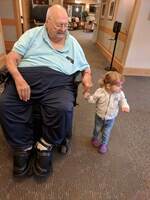 “Big Bill” Kennedy, 89, formerly of Massena, peacefully passed away early Thursday Morning, March 21, 2019 at the Life Care Center of Stoneham, Massachusetts. Bill was born April 16, 1929, in Massena, NY son of the late Hartley G. and Mabel V. (Hawkey) Kennedy. He attended Massena schools and furthered his education at Union College in Schenectady, Syracuse College and at Columbia College in Missouri. 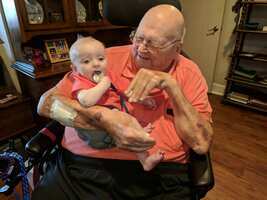 He entered the US Army in 1943 and served until his honorable discharge in 1946. He married Thelma D. Shaver on September 2, 1950 at the Anglican Church in Newington, Ontario, Canada. Bill was a longtime member of the Massena Volunteer Fire Department and is now a member of the Massena Exempts Fireman. In addition he is a life member of the American Legion Post #79, member of the Loyal Order of the Moose in Massena and the Rotterdam House of Elks Lodge in Rotterdam, NY. He was employed at Alcoa until 1958, when he went to work for the NY Power Authority in Massena. In 1968 he transferred to the NY Power Pool’s Central Center in Guilderland where he worked until he retired in 1986. In 1986 Bill and Thelma moved to Waddington, NY where they lived for 21 years. In 2007 they moved back to Massena where they stayed until 2012 when they moved to Massachusetts to be closer to their son. 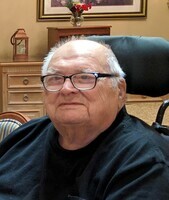 Bill enjoyed woodworking, golfing, fishing and hunting. Bill was a member of a “Hunting Club” in Waddington for many years. He and Thelma spent winters in Bradenton Florida for 10 years. Bill is survived by his wife Thelma; his son Terry and Rosemary Kennedy of Boston; his granddaughters Erin and William Disanza III and Carlin and Frank Sparacino of Massachusetts; two brothers, Philip and Barbara Kennedy and Neil and Tina Kennedy, all of Massena; two great grandchildren Tess Disanza and William Disanza IV and many nieces and nephews, brothers-in-law and sisters-in-law. Besides his parents Hartley and Mabel, he was predeceased by and infant son on September 10, 1951; and four brothers, Donald, Robert, Doug and Wayne Kennedy. There will be no calling hours or funeral service. A graveside service will be held at the Massena Center Cemetery, at a later date. To send flowers in memory of William B. "Big Bill" Kennedy, please visit our Heartfelt Sympathies Store. Donations are being accepted for: VOLUNTEERS OF THE MASSENA FIRE DEPARTMENT INC. Provide comfort for the family of William B. "Big Bill" Kennedy by sending flowers. We are very sorry to hear about the loss of Mr.William.It is very difficult to loss someone we dearly love in death.But today we all have to face that enemy.But Our heavenly father gives us a hope in his word the bible," the resurrection hope". Bible shows that God has both the "ABILITY" and the "DESIRE"to bring back the dead. He keeps in his limitless memory a detailed record of each person he will resurrect by means of his almighty power. And he promises to destroy this enemy, death, once and for all. (“The last enemy, death, is to be brought to nothing.”) (1 Corinthians 15:26) ("Understanding the Almighty is beyond our reach,He is great in power,And he never violates his justice and abundant righteousness-(Job 37:23) So we can have our full trust in him that he will fulfill his word about the resurrection ("And I have hope toward God, which hope these men also look forward to, that there is going to be a resurrection of both the righteous and the unrighteous"-Acts 24:15) May these words help you to have a hope and comfort in this difficult time.